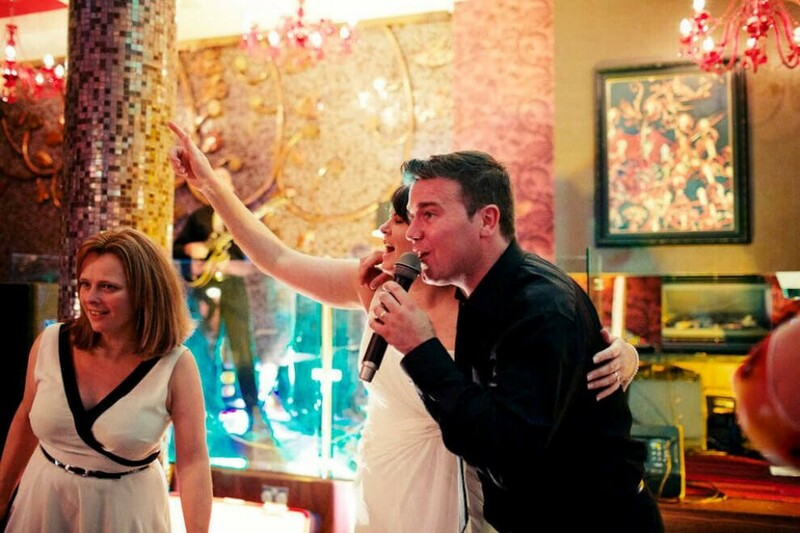 A free list of wedding bands in Ireland - over 1,200 Wedding Bands, DJ's & other Irish Wedding Entertainers. Choose a location, or a entertainer type below to start viewing the bands. Looking for a Wedding Band in Ireland? We are Ireland's only website dedicated to finding & listing EVERY Wedding Band, DJ & Entertainer in the country. Inside you'll see videos, photos, setlists, live Facebook updates, phone, website and email links - you can even enquire directly with the bands right there on their page..
A Huge list of all the Wedding Bands in Ireland. Your search just got easier. Wedding setlists, the latest band news, showcase events, real wedding band reviews & more. The quickest and easiest way to get hassle free quotes & find your wedding band. By now you’ve probably booked your Wedding Venue, and the realisation has hit you this wedding planning thing just got very real, and with beloved friends and family coming, you’ve got to entertain them too. We want to make the whole process as easy as possible for you, and we take great pride in being the only website devoted to doing just that. 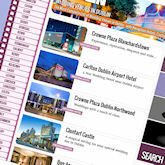 While all the other wedding suppliers websites in Ireland list only big budget vendors, we allow all of our suppliers to get on for free - affording you (the couple - the most important part) the widest choice, the best value, and easy access to your local wedding bands, Wedding DJs, reception entertainers, ceremony/church music and ALL the other wedding suppliers in your area. This is usually a couple’s first time booking a band or wedding entertainment of any description, and the process of finding a wedding band, for example, is a complete unknown if you've never done it before. We're to help, and since we're totally independent since 2007, and not run by an individual or group related to a particular wedding supplier or business, you can be sure that you're getting the best rates available, all of the options around you, and the direct line to those bands or wedding suppliers that spark your interest. 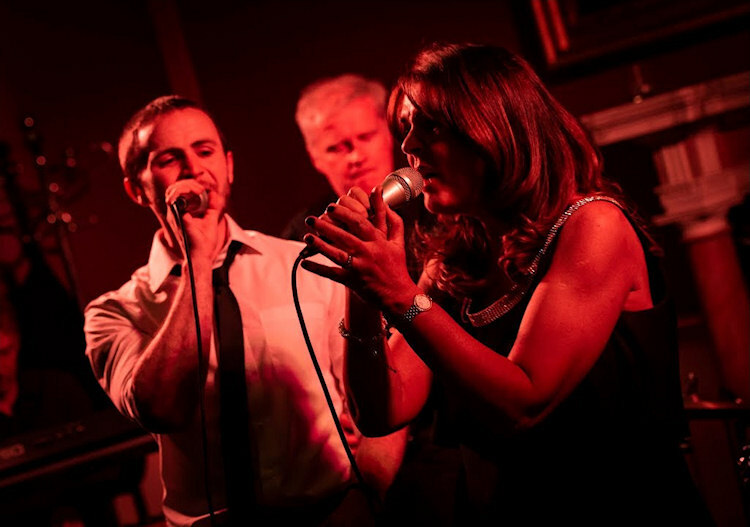 Wedding Band Reviews are a great way to gauge how well a band or entertainer has performed at previous events, and whether their former clients would recommend them to friends or family. However, we all know that reviews on any online platform (large or small) haven’t always been the most genuine or reliable. We’re different in that require all the band reviews on this site to provide proof of legitimacy – whether it’s a photo of the actual wedding, a link to the original Facebook review (so we can verify the poster is real), the email address of the reviewer, or a copy of the thank you card. We hope that by encouraging this as best practice that our bands will build up a solid portfolio of previous client’s recommendations and a verifiable source of information for their future clients. Since there’s usually more than just the bride and groom at a wedding, it’s important to remember that you are actually entertaining a crowd - in a wedding setting - and there are usually a wide variety of ages and musical tastes within that audience (no pressure though). However, when you employ the services of an experienced wedding band, with hundreds (or even thousands) of weddings under their belt, you do have a lot of room for manoeuvre when it comes to style, genre, size and vibe. Some bands will offer a variety of shows during the night, even changing outfits to suit the style of music they’re playing during that segment; others will stick to a particular genre such as funk or Motown and might be more suited to what your own style is; a band that can play any of those styles, with energy and commitment, reading the crowd and switching accordingly might be what you want – it’s your call ultimately. By now you might have noticed that nearly every band you find uses the tagline “the best wedding band Ireland”, the “most sought after wedding band in Ireland”, or better yet “Ireland’s premier wedding and corporate band” – good, best, premier, sought after – we’re here to help you filter through them - to find the best match for you. 2. When should you book your wedding band? How long before your wedding should you book the band? Whilst you’ll probably find a dozen blog posts on how to schedule your wedding planning, there actually is no real authoritative answer on this topic. Wedding Pages has received thousands of enquiries to wedding bands in Ireland over the years, and we have seen people enquire with a band within a month of their wedding day, while others have made first contact 5 YEARS in advance. The best answer we can give is simple – as soon as you’ve booked your venue and ceremony, start looking for your band. You’ll have the best choice that you could possibly have within your timeframe, and you’ll have a better handle on your budget given that the music/entertainment is one of the larger financial outgoings, and arguably the one that will have the biggest impact on how well your day goes. 3. CHOOSING A LOCAL BAND? Most of the bands on this site will travel to pretty much any part of the country (for an additional travel fee) to pay at your wedding. 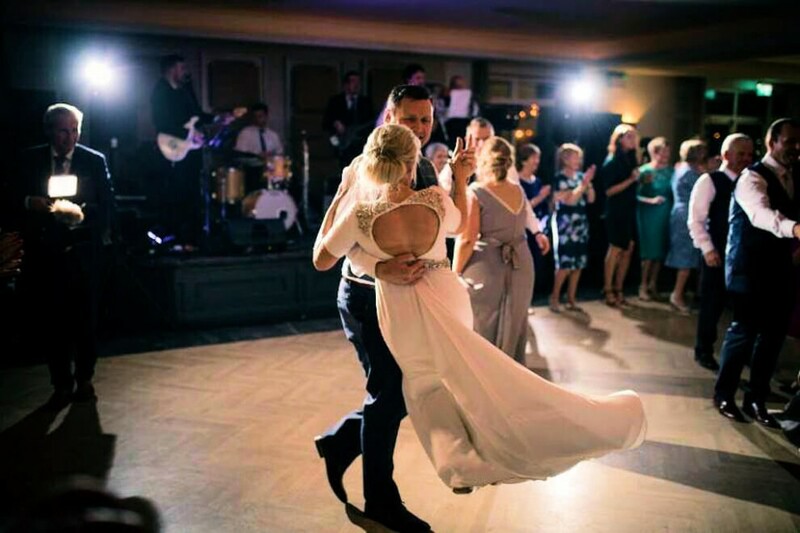 We’ve tried to separate our directory listings into your local geographical areas, so you can see what’s on offer around you - and you’ll probably recognise some of the acts on there - maybe from another wedding you’ve been to, or from a previous night out. We do allow a limited amount of bands to list themselves on the other counties/areas they usually service as well, and it's possible they may need to charge an additional fee to compensate for their journey. It's worth noting that at this stage if you’re put off by a band quoting a travel fee, it’s still a good idea to go to see them in action – good entertainment is worth the money and there's probably a very good reason they're popular outside their own area. 4. what other services does the band provide? Think about the other parts of your day - you might need church music, arrivals reception music, and what about the wedding DJ? Some of the bands here offer additional services as part of their package list, and it’s possible to save money (and hassle) by simply organising these additional (and perhaps essential) services with just one point of contact – and under one deposit. 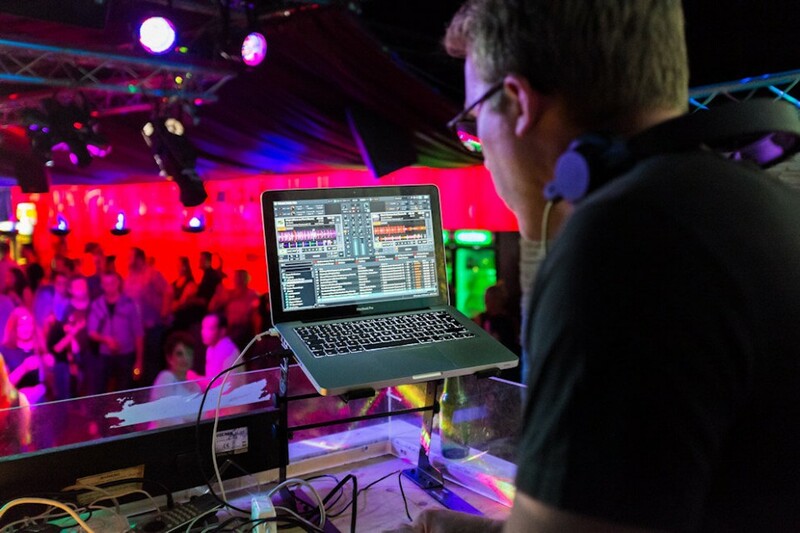 Some caveats though: Wedding DJ’s will make the point that the service that they provide as a professional who specialises in their field, is notably different to say a band member who hooks a laptop up to the band’s PA after they finish. If you do want the music to continue after the band, ask yourself whether it’s important enough to research who’s providing it, and whether or not it’s make or break if the crowd does disperse because their musical tastebuds aren’t being satisfied - and if the band are providing the DJ, a quick look through their band reviews might set your mind at ease regardless. Similarly, some band members will offer a church music package as well - so it’s worth the asking. However, as always – audition them, see them in action, don’t just rely on the videos, and check that they have a backup if one of those particular band members are sick or unable to attend. 5. Dealing with the bands directly. There are other websites operating as wedding band directories (we’re the only one who freely list all bands), however there are a few that are actually agencies – meaning it’s possible you’re going to be paying more (an agency fee) for the same band or service. Wedding entertainment/music agencies provide a valuable service to clients who prefer to deal with an agency/management company, and there are many good points to booking through an agent – but if you do notice the same telephone number for every wedding band on a particular website, ask yourself whether you arrived at that site believing that you'd be presented with a directory of wedding band contacts, and whether you can save money by booking directly with the band – considering that either you’ll be saving yourself paying a booking fee, or the band will be saving paying commission on your date. Here’s a more in-depth list of Questions to ask a wedding band, it’s worth reading through before you get into any discussions with potential bands, so you know what to expect. More and more bands are running showcase events for prospective couples to view them in action. They may be organised by one of your local wedding venues (see keep an eye out for your local wedding fairs and events), or by the band themselves in a local hotel or event venue. Well worth the visit, these events allow you to see the band in action, check your date and ask questions, find out how much the band charges and most importantly meet them face to face – considering that you’re dealing directly with the band (you’re not paying extra to an agent or middle man for the same thing). 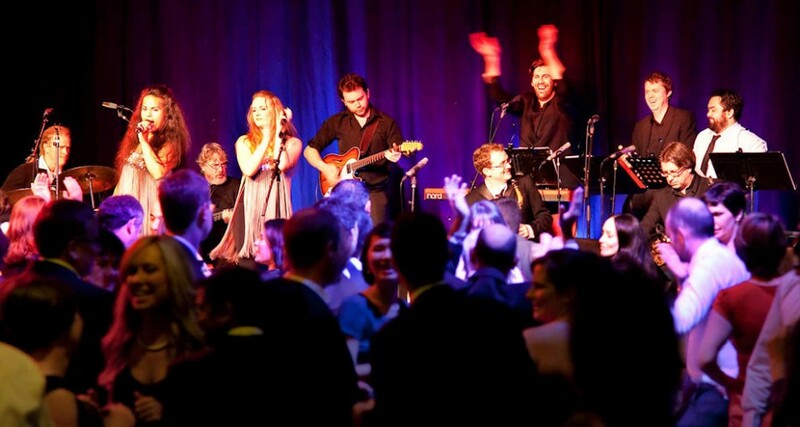 When you are enquiring, always ask when you can see the band play live - whilst it's preferable to see them play an actual wedding, showcase events are always a good option as well - and an easy excuse to have a well earned night out. 1 . HOW LONG DOES THE BAND PLAY FOR? Every country is different, but typically in Ireland a wedding band will play for anything between 2 to 3 hours – as long as there are no delays in their start time (speeches, dinner, and over-enthusiastic wedding photographer who specialises in perfect cake cutting shots). There's usually a break later in the set, where you might have finger food or tea and sandwiches. Always ask if your venue has a noise curfew or policy that may have an affect on your entertainment. 2. What size of band can be accommodated? Depending on the size of your venue’s reception room you may have to consider whether or not the 12 piece full band with brass section is going to work :-). 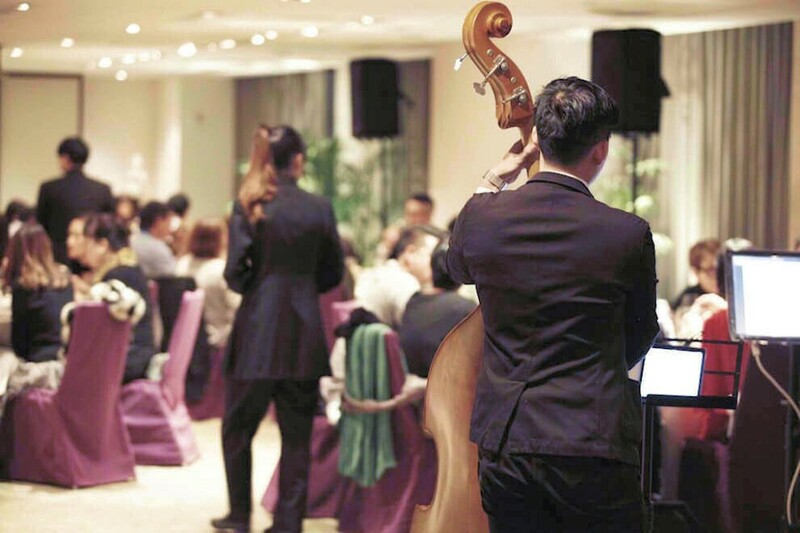 The band will usually either already know, or try to find out the specifications of the wedding venue after receiving your enquiry, but to save yourselves to time and effort consider your venue’s room size, ceiling height and other limitations before you get your heart set on one particular type of band or entertainment. 3. Does the venue provide staging/power for the band? There's a growing trend in Ireland for alternative or "quirky wedding venues", your venue could be a luxury glamping site, a train or even a zoo. It's not wise to assume that the venue has a set area for bands to setup, or more importantly to assume that there's an easy hookup for power to all the various amps, lights, smoke machines, LED dancefloors etc. 4. Does the Band Have easy on-site access? Music equipment is heavy, bulky and delicate. If the path between the parking area and the reception hall of your venue, contains a narrow stone faced spiral staircase or some other obstacle that could prove difficult to navigate - it could make it impossible for a full band to access, and it may be something to consider from the outset. 5. Are you considering adding other entertainment During the set? 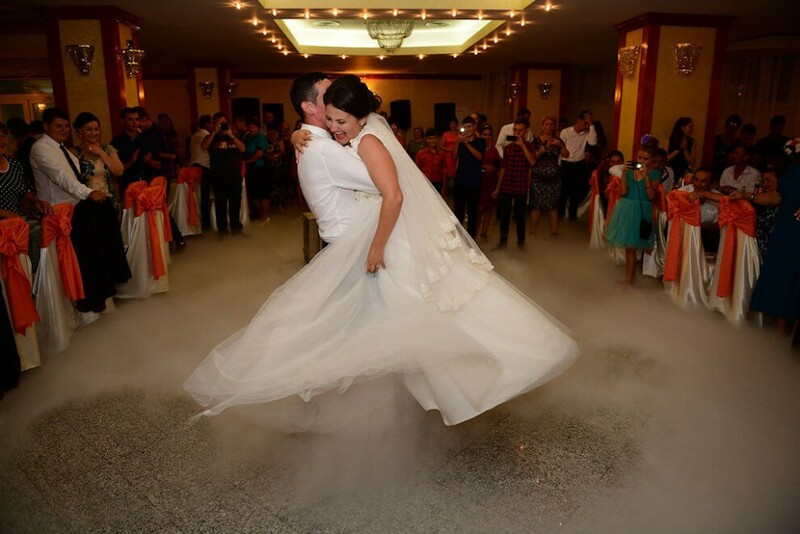 There's a growing trend over recent years to use the wedding band's set break to have a troupe of Irish Dancers, Wedding Hypnotist, drummers, bagpipers or even an army marching band to entertain your guests. Whilst these are sure to wow your gathering of friends and family, giving your band the heads-up at this early stage might be a clever idea. The savings in not having to hire an additional PA system for backing music are one thing, but if your band are in any way social media savvy, they might seize the opportunity to join in on the action and make it extra special. 6. Do the Band need Overnight Accommodation? Most bands travel home after a wedding, a lot of the time finally departing your venue around 1 or 2 in the morning to make the journey home. Depending on where your venue is however, it may be necessary to think about accommodation for your band in terms of how it affects the amount of space available for your wedding guests. If you're getting married on an Island for example. 7. Lets talk about the weather? Is your venue suitable for the band in inclement weather? Is an indoor space available as an alternative in the event of bad rain/high winds/snow etc? Will the band be able to move and setup equipment in your particular venue during stormy conditions? Does your venue have a backup electricity generator? 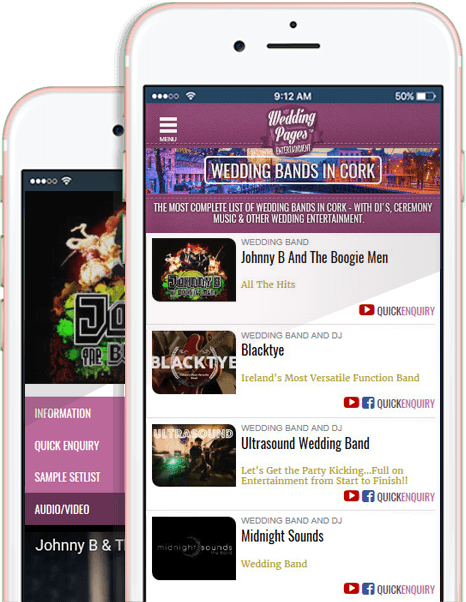 WeddingBandList.com has been the Largest & most Popular Wedding Bands and Entertainment site in Ireland since 2007. We are not a booking agency, and we don’t run our own wedding band or dj service.